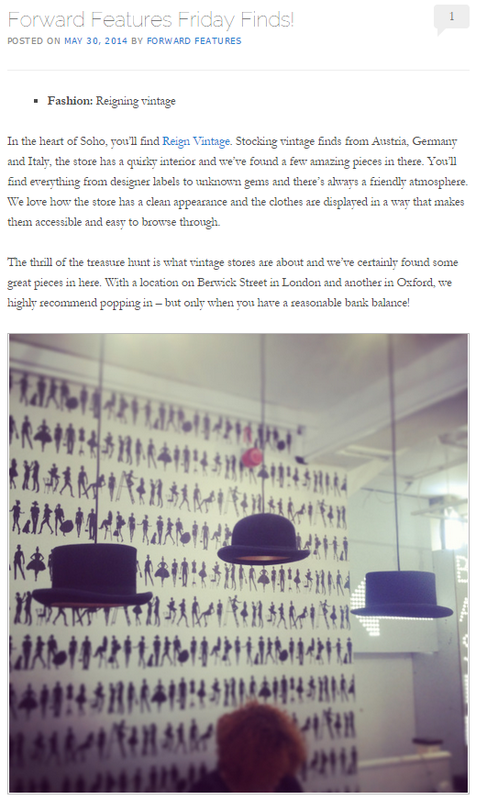 As 2015 approaches we thought we’d share with you all what our five most popular posts have been in 2014. From trade shows and workshops, trend posts and Friday Finds we’d both like to say thank you for being lovely readers and support Forward Features! 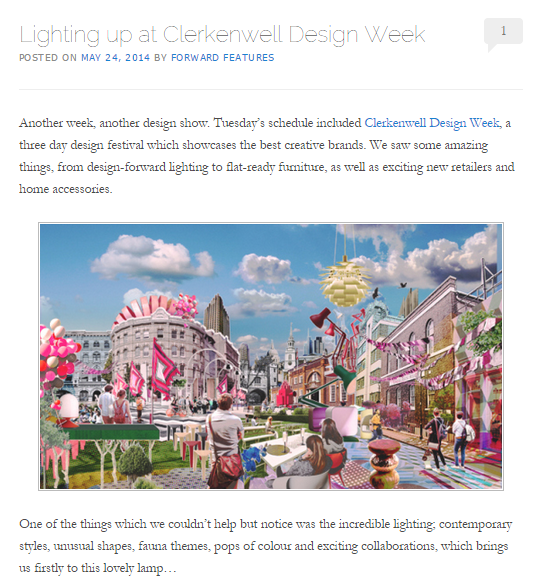 At number 5 there were bright ideas with Lighting up at Clerkenwell Design Week. 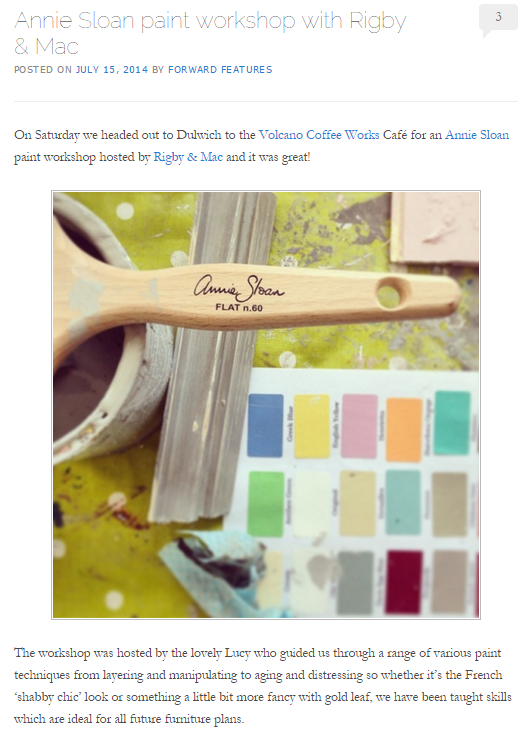 At number 4 we have one of our favourite things we did in 2014, the Annie Sloan Paint Workshop with Rigby & Mac. As well as being a fun day where we got to meet a lovely bunch of people – it has also given us plenty of inspiration for upcycling projects such as our latest trunk makeover. 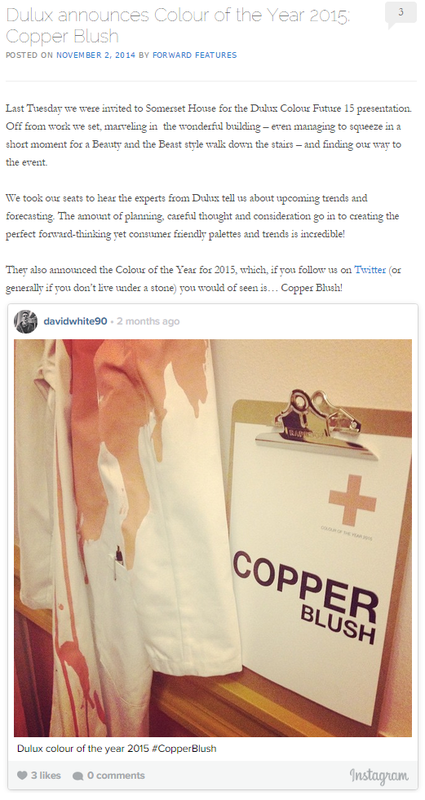 At number 2 it was Dulux announcing Copper Blush as Colour of the Year ’15 which grabbed your attention. As we’ve headed in to the New Year we’re certain this won’t be the last you’ve seen of the colour! 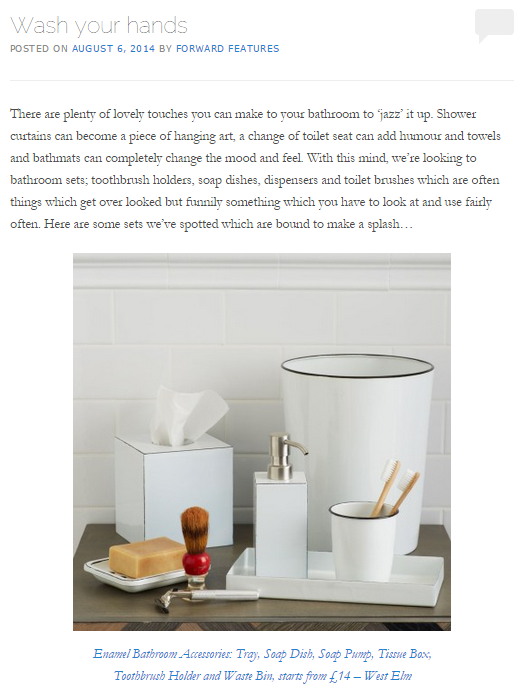 And finally, at number 1, it turns out your a sanitary lot and liked our bathroom accessories round-up, ‘Wash your hands’ the most! Who would of thought it? Now to get ready for New Years celebrations! Previous articleFriday FindsForward Features Friday Finds!